Whispering Falls' resident potion maker, June Heal, is the first witch in the magical village to make a big money deal with the Head to Toe Works, a national chain specializing in spa and natural products. A new baby is born in Whispering Falls, giving Oscar Park, June's fiancé and Whispering Falls' sheriff, the itch to get a wedding date set. This is the first book by the author and narrator that I have listened to. I throughly enjoyed it. Yes this story is not realistic, but it is totally fun and a nice escape. Witches and spells make up a big portion of this story. The book is part of a series and yet a standalone book. My review is not a synopsis of the book, but rather my opinion of it. I was voluntarily provided with this review copy audiobook at no charge by the author, narrator, and/or publisher. I know i started this series on book 7 but i will definitely be listening to the rest of this series. 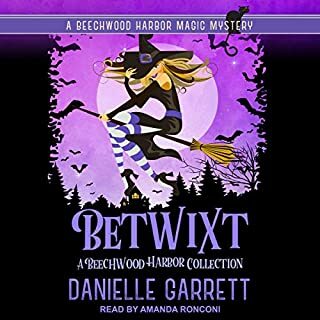 loved the story and really enjoyed the narration.I was voluntarily provided this free review copy audiobook by the author, narrator, or publisher. This is a series. In my opinion, the books really do not stand alone. Having said that this is a fun collection of tales about a magical town and it's inhabitants. I received this copy for an unbiased review, but I had already read the previous books in the series. For a relaxing afternoon I recommend a tour of this magical town. 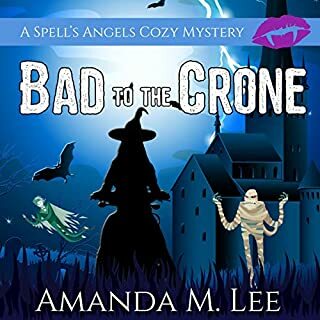 Cute, fun and entertaining cozy paranormal mystery. This was just a lighthearted, very enjoyable and easy afternoon listen. A great balance of mystery, magic and suspense with a bit of clean romance. 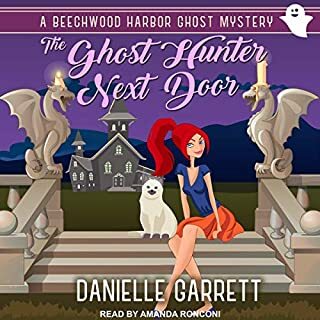 This was one of the better cozy mystery stories that I have listened to in a while. The story pulls you in immediately, holds your attention and keeps you guessing. Even though this is book 7 in the series but the first I have listened to it did not effect my enjoyment of this installment. Each book can be listened to as a standalone. I'm sure having some of the backstory would have increased my overall enjoyment though. At some point I would like to read the previous installments of the series. Great cast of likable and interesting characters. Things are not going as smoothly for June as she thought they would be on her first day on her new job. She thought she had everything all worked out until suddenly things don't go as planned. Needing to fix the problem she sneaks back into the factory to spell the bottles for her product, at the same time one of her new bosses is discovered dead in the factory further complicating things for June. She just can't resist doing some of her own investigating which gets her into even more trouble. Karen Savage did a really good job with the narration. Pleasant voice. Easy to listen to for long periods of time. Really good character voices. Clearly spoken with a good pace. Each character had a distinct voice. You always knew who was speaking. She brought the story and characters to life. I would definitely listen to other stories that she has narrated. Very enjoyable. I was voluntarily provided this free review copy audiobook by the author narrator or publisher. A very cute cozy mystery. June is a fun little witch. Their are fun characters and magic abounds. There is romance with Oscar the cop. And even the cat is Charming. Fun listen and good narration with a murder mystery full of who done it characters. I was voluntarily provided this free review copy audiobook by the author, narrator, or publisher. This is a great book; this is the seventh book in the Magical Cures Mystery series written by Tonya Kappes and narrated by Karen Savage. I love this series, each book can be a standalone but I would recommend that you read them in order so you can get the feel of the whole series. Whispering Falls' resident potion maker, June Heal, is the first witch in the magical village to make a big money deal with the Head to Toe Works, a national chain specializing in spa and natural products. June is going to need to use her own stress relief potion she made especially for Head to Toe Works after she discovers the dead body of Burt Rossen, the co-owner of Head to Toe Works, on the belt of the assembly line of her stress free lotion product. June is forced to use her witchy ways to figure out who stole her secret potion after it turns up missing. Rumors are flying around like broomsticks that June is a witch and used a spell to murder Mr. Rossen. The narrator Karen Savage did a wonderful job with this book. She did a great job with the different voices of each character in this book. It was very easy to listen to and I didn’t want to stop listening until the end. This was a cute murder mystery. I really enjoyed the setting, Whispering Falls. Its a small and serene village, all its inhabitants have some magical power and are all very good friends, always willing to help themselves with each other. I absolutely loved Mr Prince Charming great name for a cat. June Heal is a witch. She had only found out afew years earlier. She was raised by her Aunt, her fiance Oscar is a cop and she owns shop. She has sold her hand lotion that relieves stress to a national chain with her being in charge of the manufacturing process. Her first day working at the plant goes all wrong. They are not using her bottles that have been infused with magic, but using the cheap ones instead. So when she sneaks into the plant to add magic to the cheap bottles.........now it's time for you to buy the book and read the fun. ...she might have turned out to be the main character in this book. First, let me mention that I was voluntarily provided this free review copy audiobook by the author, narrator, or publisher. Now that that's out of the way, I admit I was charmed to pieces by this book, and especially taken by the talent of narrator Tonya Kappes. I enjoyed listening to this narration at .90 speed, so if it seems a tad quick for you in places, no worries - just slow it down by a few notches and see if that helps. 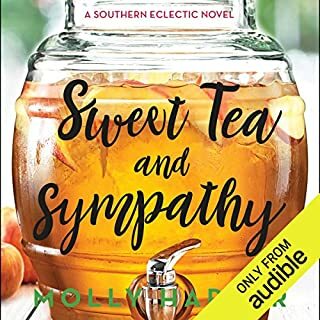 Tonya's an energetic narrator, and that might be why I perceived the narration to feel fast, although I'd like to believe that I wanted to enjoy this book more slowly, like sipping a fine wine. The heroine is a good witch who lives in a town of talented supernatural folk. I knew I loved the main character when she was willing to give up a lucrative gig if they wouldn't let her bring along her Fairy God Cat to work. Oh yeah, my kind of gal. I won't spoil the story, but there is a good mystery and several great twists, good characterization, and all wrapped up in a fun. light mystery that I couldn't wait to return to. 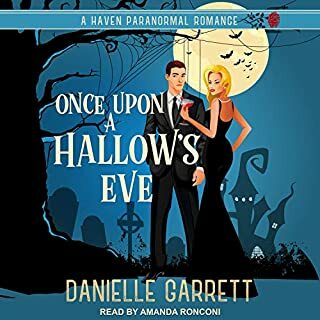 Nothing scary or horrid here, but plenty of snarly remarks, and great "meows" by the narrator while mimicking the cat, to the point where my dogs perked up their ears when I played it from my PC out loud. I like the idea of a supernatural mystery with a little attitude, and this story perfectly fits the bill. Looking forward to reading more from this author and from this narrator. Thoroughly enjoyed this story and wish it had more oil recipes. I received this free for an honest review from the author or narrator.